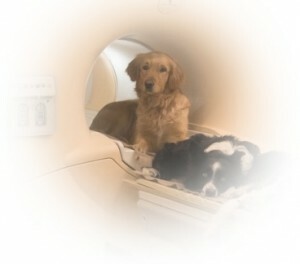 Getting a better picture of what goes on in a dog’s head has been made less speculative and more objective by recent novel uses of brain imaging technology. As it turns out, Dogs tend to be more loyal to people than they are to other dogs. The reward centers of their brain light up with human smells and sounds. They have also been able to confirm that many people with dogs already know, dogs understand the tone of our voice when we talk to them. Domesticated dogs differ from wolves in that they will also look people in the eyes. Most telling about the special bond between humans and dogs is that dogs run to us when they are scared, while less domesticated animals like cats and horses run away.